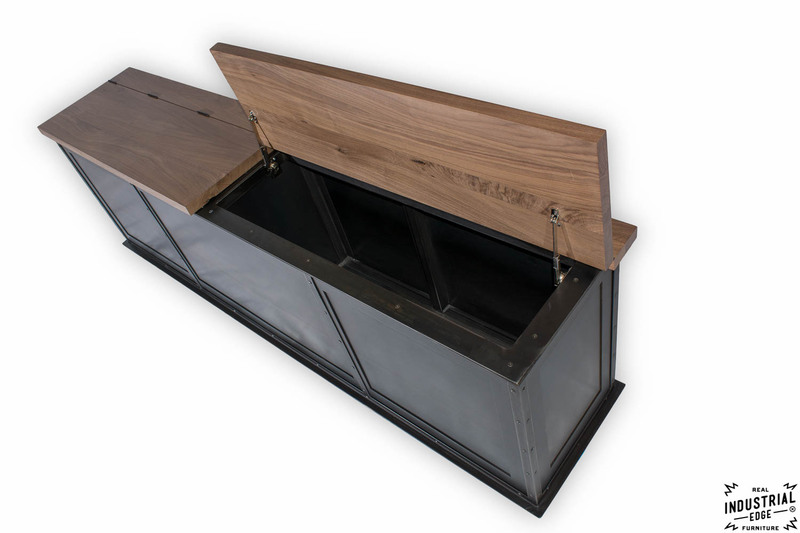 We custom designed and fabricated this walnut & steel storage bench for a residential entry way. 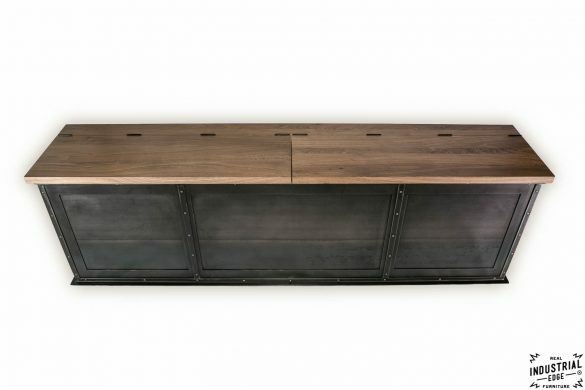 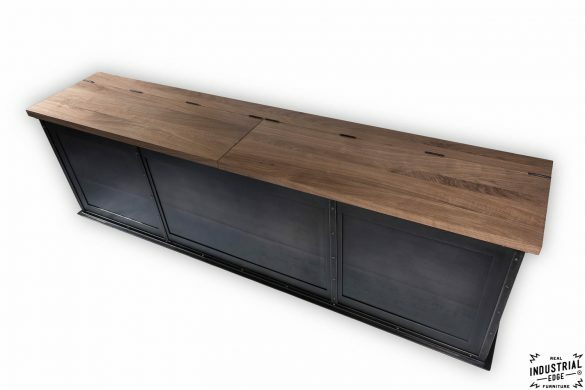 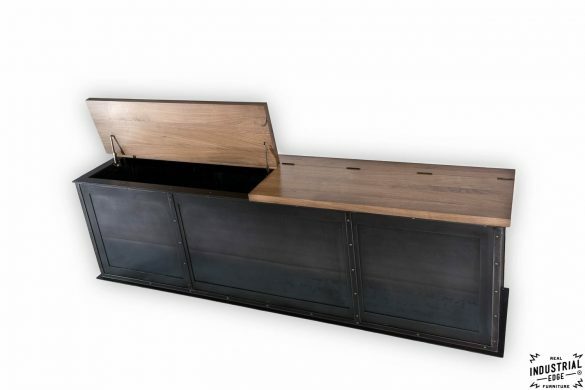 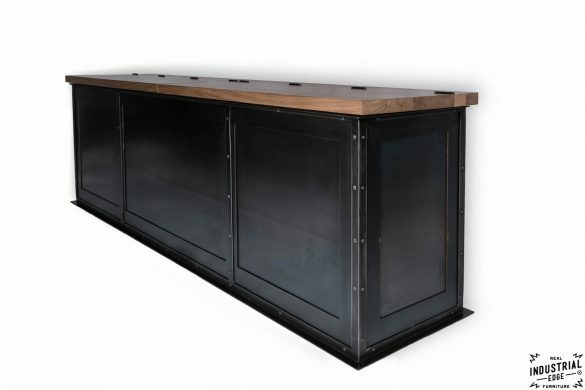 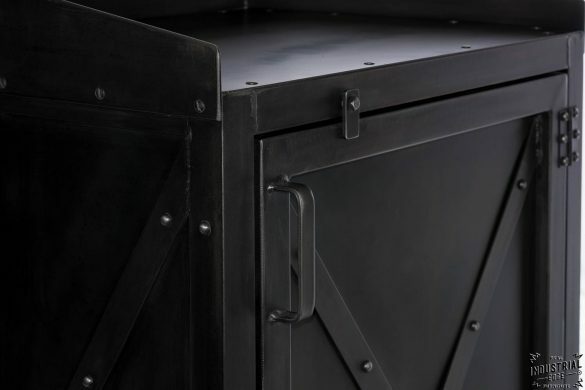 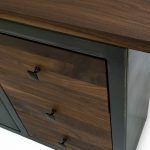 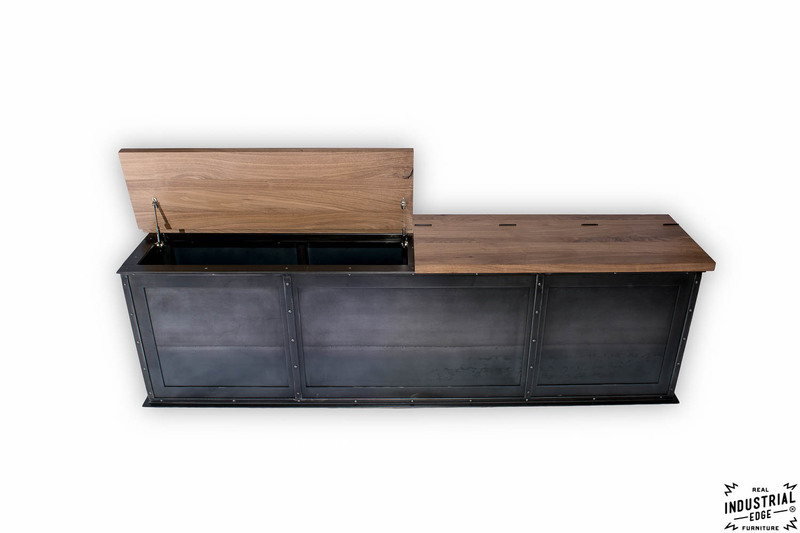 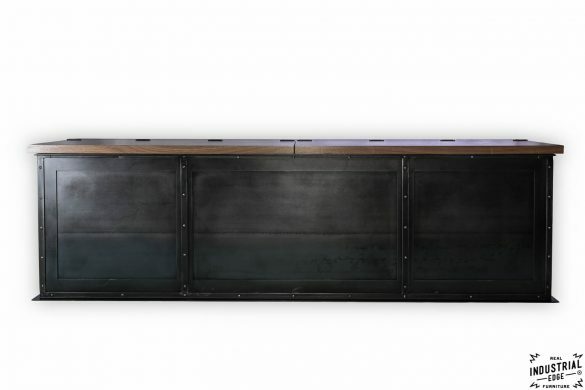 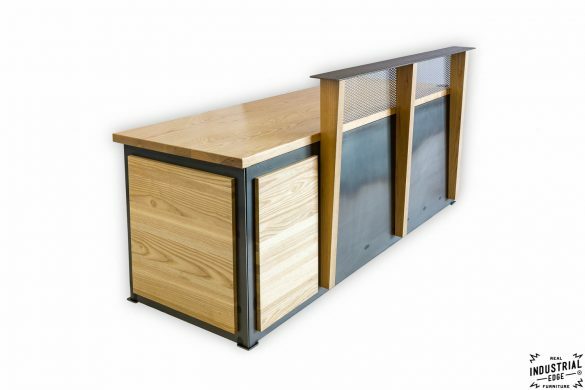 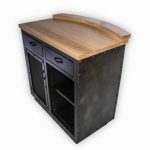 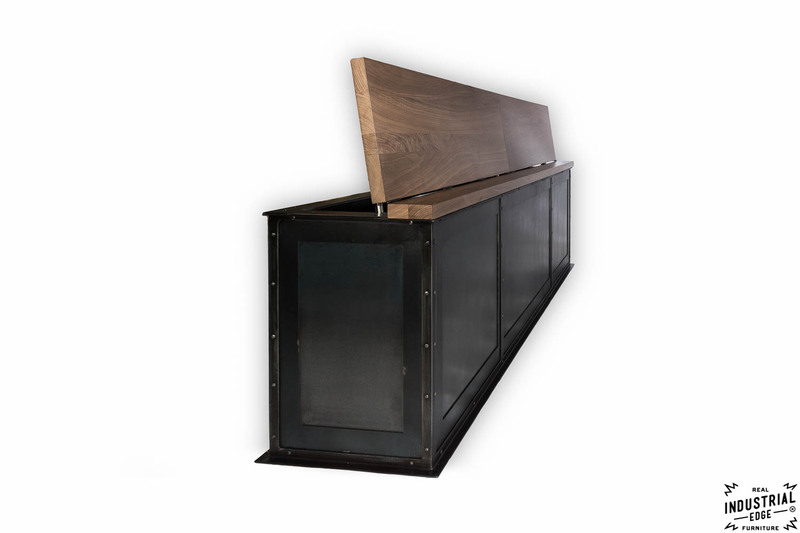 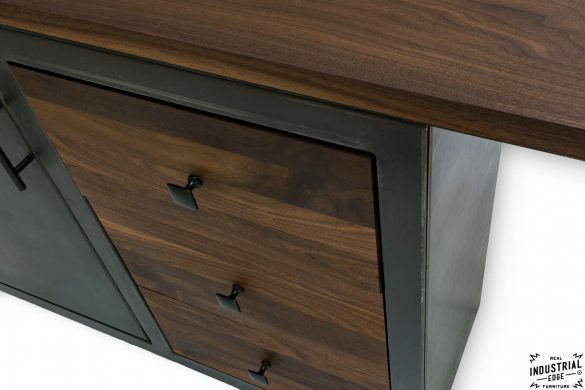 The finish length is 8 feet long with two sections of solid walnut wood seats that lift with ease to access storage. 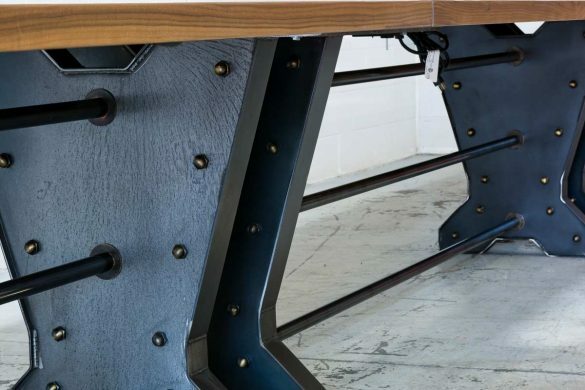 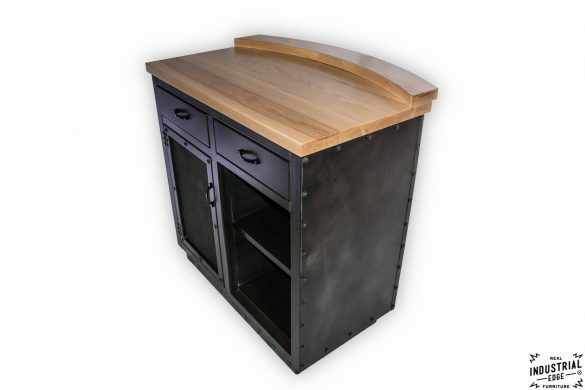 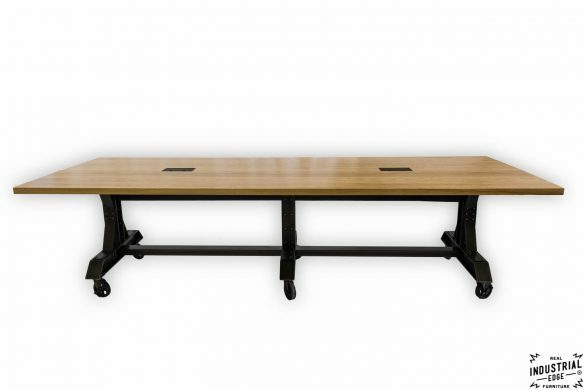 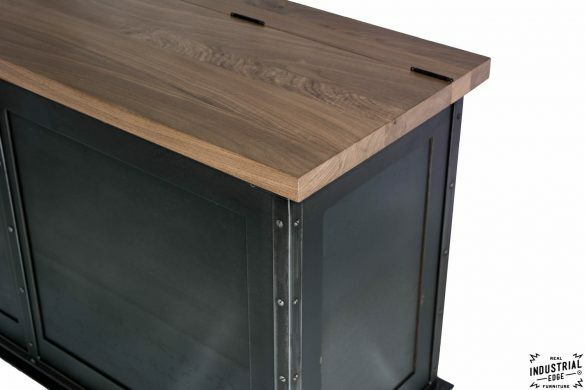 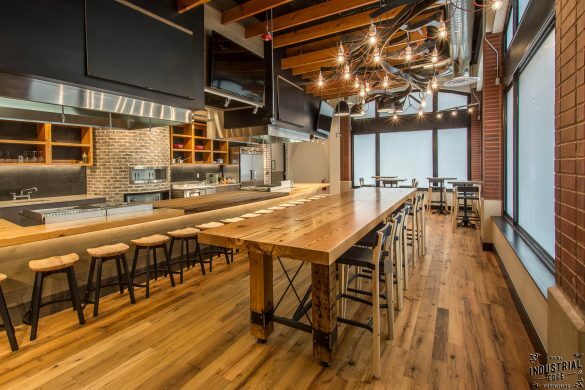 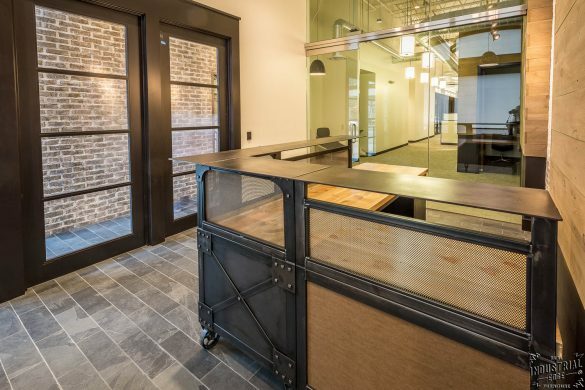 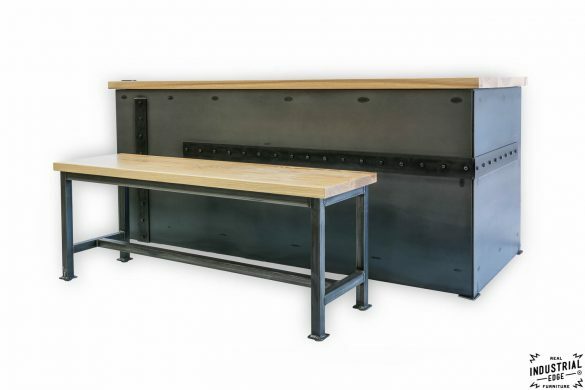 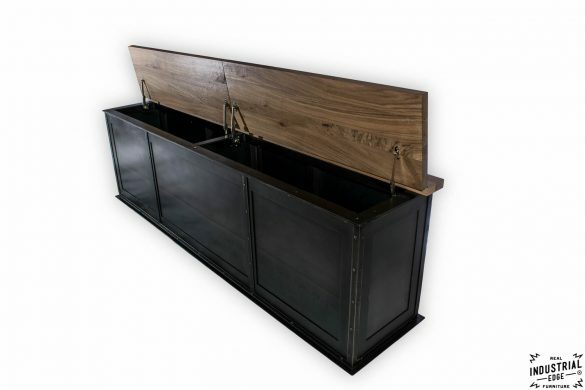 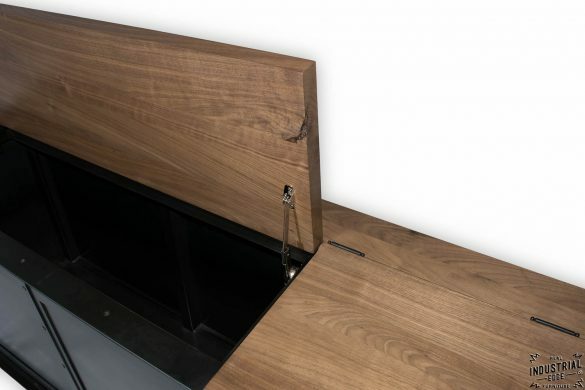 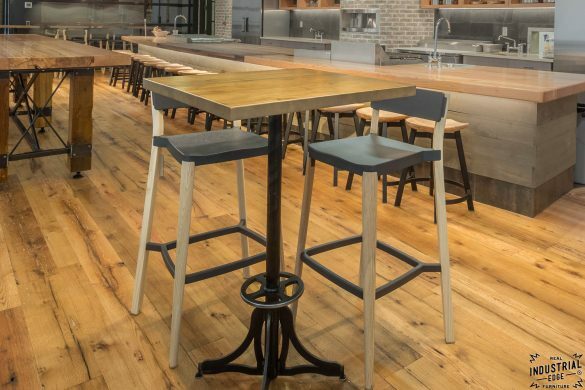 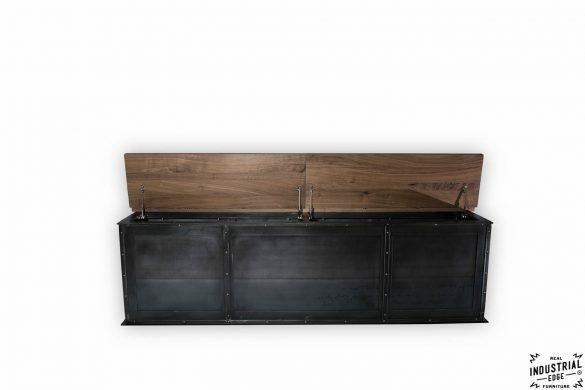 In addition to the beautiful solid walnut seat the super chic hidden hardware and accented shaker style steel base create a stunning modern industrial entry piece.